OnePlus continues to improve its news flagship killer even though it's been less than a month since it made it to market. If you've bought the phone in the United States, then you know the OnePlus 6T supports Verizon's network, but it can also be used on T-Mobile, the only carrier in the country that sells the smartphone. The latest update rolled out by OnePlus addresses an issue with adding APN on Verizon network, although we're not really sure what does that fix since the only problem that we know of prevents some users from receiving text messages. In any case, this isn't the most important change included in the update, so let's move on to the next improvements added. First off, we have improved unlocking experience and optimized standby power consumption, which means that your OnePlus 6T should offer even more battery life. 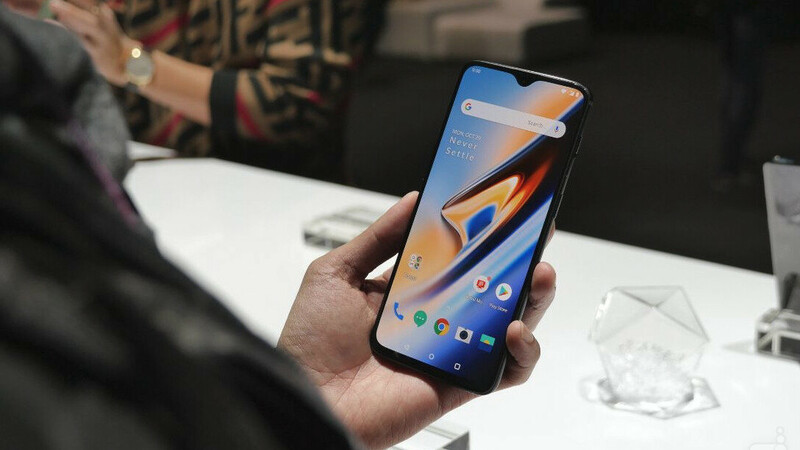 Speaking of battery life, OnePlus 6T has performed admirably in our battery tests, so make sure to check that out as well if you want to know more. Also, the update is expected to optimize image processing, which should result in better photos overall. These are just under-the-hood improvements, so you won't see any new additions to the camera UI. Finally, OnePlus announced they have fixed all issues that prevented OnePlus 6T users from getting notifications from Google Play Store. Naturally, general bug fixes and improvements have been added too, but these are included in just about every update released by OnePlus. Now, this OTA (over the air) update is pushed out in waves, which means that only a limited number of users will receive it today, but a broader roll-out will begin in a few days so you'll just have to wait a bit longer.